It is very exciting to see your baby grow and learn new things every day. From being very helpless and weak, you will see him or her starting to become stronger and more mobile. One of the first milestones is the ability to roll over. It signifies that the back, neck, head and even arm muscles are strong and coordinated enough to accomplish this. This is no easy task for a baby. For parents, it is also a sign that their little one should never be left alone in any high surface like a bed. Babies will start to move around at any time so it is better to be safe than sorry. Once your child starts to attempt to turn or roll over, it is best to practice on the floor or on a low surface. This way, he or she has little risk of falling and getting hurt. When Does My Baby Start To Roll Over? Your little one will not just wake up one day and suddenly have the ability to roll over. This happens after some practice, and when they are strong enough to move the necessary muscles. In order to train them, it is of utmost importance that you give your baby enough time on the tummy. This means laying him or her on the belly. Newborns will not be able to lift their head or shoulders but with practice and time, they will develop the muscles in this area. There are some milestones your baby will hit that will lead up to the ability to roll over. However, do not worry if your little one is accomplishing them earlier or later because every child is different. This is only a guide to gauge what other infants are able to do at specific ages. At one month, the neck muscles are still weak though the baby should be able to raise the head for a moment. He or she should also be able to turn the head to the side while lying down. By the time the second month hits, your child should be able to lift their head a little while on the belly. At three months, you start to notice that your child can support the head finally. While on the tummy, he or she can also raise the shoulders and support the weight on the arms. By four months of age, your baby can sit while supported and fully hold the head. Some rolling from the back to their sides may also be observed. During the 5th and 6th month, babies are able to roll over. First, they can do it from the belly to the back and one month later, from the back to the belly. The latter requires more strength and coordination, so they will need more time to accomplish this. Reaching this milestone requires some work and time. They are never too young to start practicing, and parents may use these techniques to help them finally do this alone. You can start teaching your baby to roll over even though they are months away from this. By giving them enough tummy time daily so that they are comfortable with it, you allow them to build up the necessary muscles. Not all babies are comfortable lying on their tummy so try other ways like putting him or her on your chest. Another way is to lie beside her with a favorite toy so that it becomes a more pleasant experience. When your baby tries to lift the head and shoulders during tummy time, you can encourage and help strengthen the arms by raising him or her until the arms are straight. You can try this push-up exercise so that the muscles they will need to roll over become stronger. As they turn 5 months of age, you will notice that they begin to kick their legs and even lift their chest high. You can demonstrate rolling over by gently turning them. Practice often until they manage to do it on their own. You may also lay your child on a blanket that you can lift to help them roll over. Make sure you have a toy on their side to encourage them to turn to the side and by lifting the blanket, you demonstrate how to properly roll over. When lifting your baby, try turning him or her to the side first. In the process, you introduce rolling over to the side. You can also help your child to become comfortable in this position by allowing him or her to play on one side. If needed, provide support. This is vital in developing the muscles to balance. 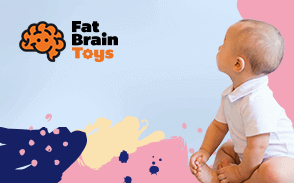 Try to get the baby to roll to the side on their own by putting toys within arm’s reach to encourage him or her to grab it. You may also hold a toy above the head and the little one might accidentally roll over trying to look or get it. Your baby has a greater chance of training the right muscles when there is enough opportunity to practice. Leaving the little one on a swing or a bouncer chair is not a good idea because they will lose the chance to move around. It is also important that various positions are practiced. Let the baby in a folded position with the legs close to the chest and exercise extending the legs as well. You can also practice twisting positions to develop different muscles. Try to change their position every 15 minutes. Even if the little one cannot understand your words yet, he or she can see your smile and understand your encouragement. Whenever the baby accomplishes a milestone, congratulate and clap to signify that he or she is on the right track. It will also encourage your child to be active and move the body more. You should also use a favorite toy as motivation to turn and roll over. Through daily practice and exercise, you can help your child reach this milestone and take the first step to becoming more mobile. Make it fun as you will surely have many hilarious moments watching your little one try it out. Just make sure your camera is ready to capture the moment when the baby finally learns to do it on his or her own.